DEPLIN®, a prescription product, is specially formulated to meet the nutritional needs of people with depression and can be used with your current antidepressant. DEPLIN® capsules contain L-methylfolate, an active form of folate. Folate, which is one of the body’s essential B vitamins, helps the brain naturally improve your mood. If you have depression, your body may need more active folate. Low levels of active folate can make it harder to see results from your antidepressant. Not having enough active folate may also put you at risk of your depression coming back, even after it has gone away. DEPLIN® is prescribed by healthcare professionals and should only be used under the supervision of a physician. Please see your healthcare provider to determine if DEPLIN® is right for you. DEPLIN® is the only product with 15 mg of Metafolin®*, which is branded active folate. 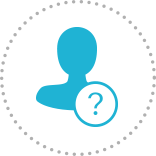 Metafolin® is clinically proven and has been widely studied in over 25 clinical trials as registered on ClinicalTrials.gov. *Metafolin is a registered trademark of Merck KGaA, Darmstadt, Germany. See how DEPLIN® is different from over-the-counter folic acid. Is DEPLIN® Right for You? DEPLIN® is a prescription medical food for use only under the supervision of a physician for the clinical dietary management of depression and is specially formulated to meet the distinctive nutritional requirement for this condition. Use under medical supervision. © 2019 Alfasigma USA, Inc.
How can DEPLIN® help me? DEPLIN® can provide the body with already-active folate that is ready to help promote the production of natural chemicals in the brain that affect mood and help you get the most out of your antidepressant therapy. Is DEPLIN® safe? What are the side effects? Yes, DEPLIN® is generally safe and does not have the side effects of traditional antidepressants. In clinical trials, the side effects of DEPLIN® were about the same as those of a placebo (a pill or liquid with no active medicine, such as a sugar pill). 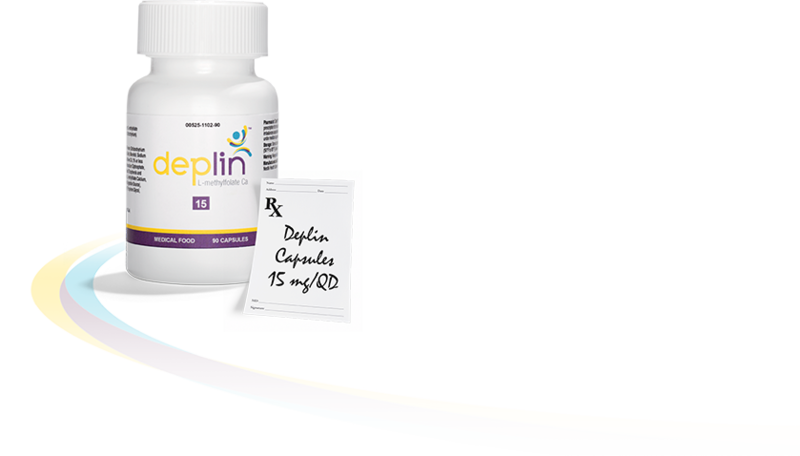 DEPLIN®, which is safe to take with antidepressant medications when taken as indicated, is not associated with weight gain, insomnia, or sexual dysfunction. How is DEPLIN® different from over-the-counter (OTC) options? OTC folic acid needs to be activated by your body before it can be used. Unfortunately, up to 70% of people with depression may have a compromised ability to complete this activation. DEPLIN® capsules can provide you with already-active folate so your body does not have to activate it for you to see a benefit. DEPLIN® addresses the body’s nutritional requirements and creates an environment that allows you to get the most out of your antidepressant therapy. Is there a program to help me save on my prescription? Yes, you can save on DEPLIN® with Brand Direct Health® pharmacy, which offers savings, support, and resources to patients through a program called RxDirectPlus Powered by Brand Direct Health. To fill your prescription through Brand Direct Health® pharmacy, call 1-844-824-5918 or visit www.RxDirectPlus.com to learn more. Adapted from the MedlinePlus website.